Fun for all ages! 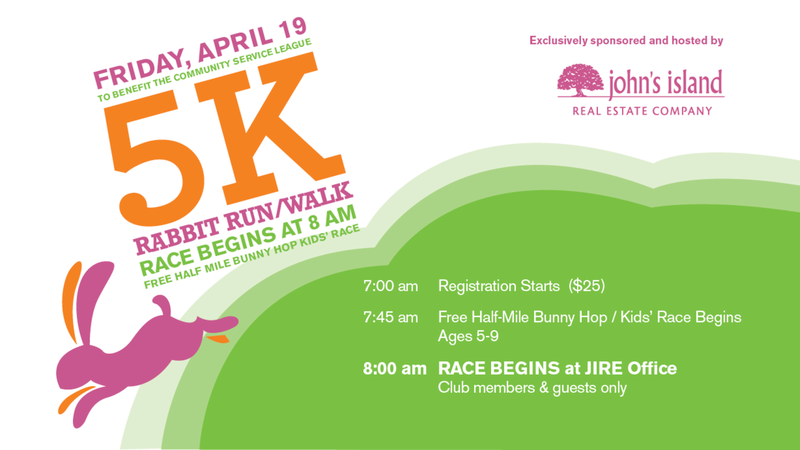 Join us Friday, April 19 for our 5th annual 5K Rabbit Run/Walk. We are proud to exclusively host and sponsor this highly-anticipated race for all ages and fitness levels. Rain or shine, this family-friendly event promises good fun, food, and Easter cheer with friends. The race will begin and end at the JIRE front parking lot, located just inside the west main gate. Limited to John's Island Club members and their guests. 100% of the proceeds benefit the John's Island Community Service League (JICSL) . Registration forms can be dropped off at our office, Club Fitness Center or Pro Shops. Early registrants can pick up their packets the day before the event at the John's Island Real Estate Company between noon and 4 p.m. Registration includes a T-shirt for the first 200± registrants. We can not guarantee sizes as we have to order the t-shirts in advance. Medals awarded to top age groups. Professionally timed by Run Vero. The course starts at John's Island Drive, right onto Indian Harbor Road, right onto Sea Oak Drive and finishes in front of our sales office. 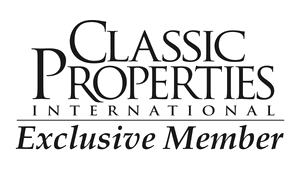 For more information, please contact 5k@johnsislandrealestate.com or call 772-231-0900. What is 18 + 2?